The NAW was offered a space in the DIY Court of the Autumn Home Show in Auckland to advertise woodwork, club activities, and meet potential new members. In return the NAW cared for the competition run by the show organisers and judged by Shane Hewitt. 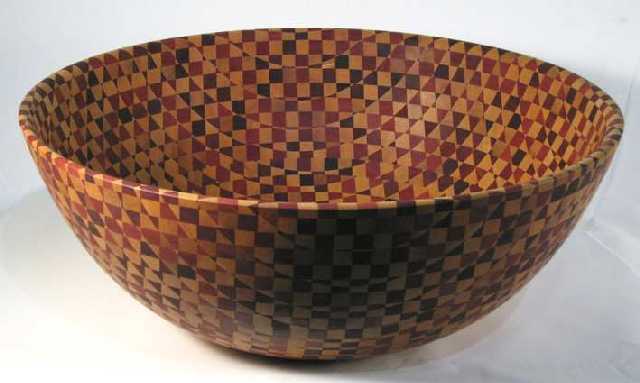 Michael Posthuma of North Shore Woodturners Guild took home the Youth Award with a large segmented bowl (about 500mm dia). 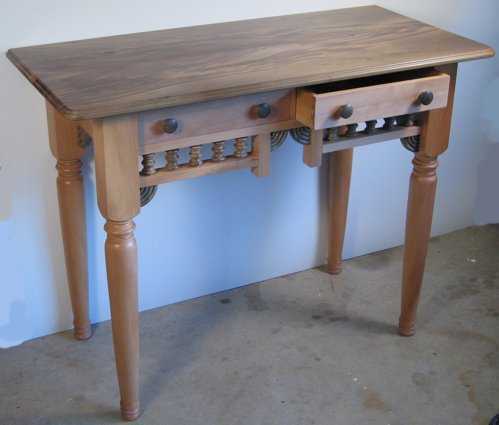 Jim Downs of South Auckland Woodturners Guild won the furniture section with an elegant swamp kauri hall table. Terry Scott of South Auckland Woodturners had the best woodturning with a further version of his Mantaray Series entitled “Spot the Wave” (about 600mm tip to tip). “Spot the Wave” also won Best of Show. There were two lathes making shavings and two people caring for the competition work and other items for sale. Many people talked about woodwork, many purchased copies of Creative Wood, many took away information about club and NAW membership, and maybe we will see a few new faces at future meetings.